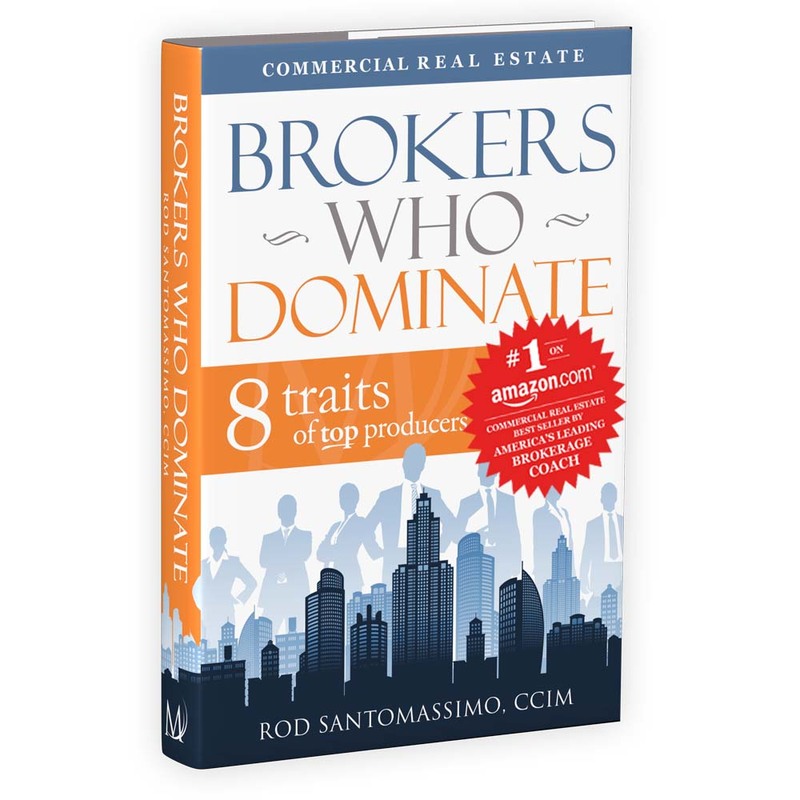 In Brokers Who Dominate you will learn the strategies and tactics, marketing approaches, prospecting platforms and support structures of some of the most successful commercial real estate brokers in North America. 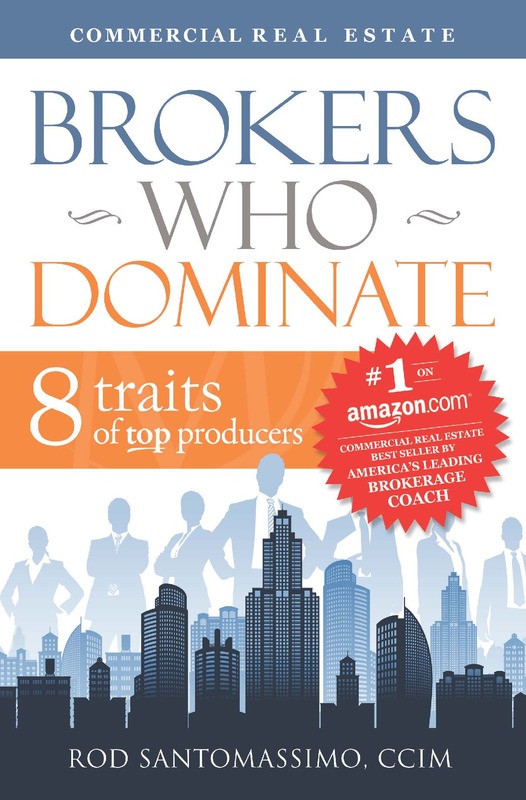 Brokers Who Dominate uncovers the stories behind these brokers who are leaders in their respective markets and presents scores of specific lessons about how you can significantly enhance your opportunity for personal brokerage success. Regardless of how long you have practiced commercial brokerage, there are lessons to be learned from all those profiled. Dominant brokers can be found at all levels of experience, and in Brokers Who Dominate you’ll find them in three groups. The Young Guns will get you thinking about new and exciting ways you can do business. The Dominators offer proven lessons that are working today. The Game Changers have blazed trails for the rest of us and changed the brokerage business. All featured brokers reveal how they attained and maintain their dominant market position. Brokers Who Dominate will help you achieve exceptional business growth and performance, no matter what your current level of successor experience. Rod is founder and president of the Massimo Group, North America’s leading commercial real estate brokerage coaching and consulting organization, which is proud to work with clients from the nation’s premier brokerage firms and scores of regional and local firms. Rod Santomassimo had a successful career in the commercial real estate brokerage business, as a broker, owner, manager and senior executive with local, regional and international brokerage firms. He began that career in 1989 after graduating from Washington and Lee University and earning his MBA from the Fuqua School of Business at Duke University. He has been a featured speaker at a variety of local offices, regional conferences and national commercial real estate brokerage conferences, and he is an approved Signature Series speaker. Rod is a two-time recipient of the Duke University, Fuqua School of Business Impact Alumni of the Year Award and has authored several articles for Commercial Investment Real Estate and Commercial Connections magazines. When not traveling for speaking or client engagements, Rod resides in Cary, NC where he cherishes his time with his wife and their two children. Learn more about Rod Santomassimo by visiting www.massimo-group.com. CEO Americas, Cushman & Wakefield, Inc.
President, Americas Brokerage, CB Richard Ellis, Inc. The Commercial Real Estate #1 Best Seller on Amazon includes strategies and tactics, marketing approaches, prospecting platforms, and support structures of some of the most successful commercial real estate brokers in North America. Stories of how successful real estate, property management and mortgage brokerage/banking teams secured dominant positions in their market. Research on how individual team member roles, responsibilities and personalities combine to impact team communication, operations and, ultimately, production. 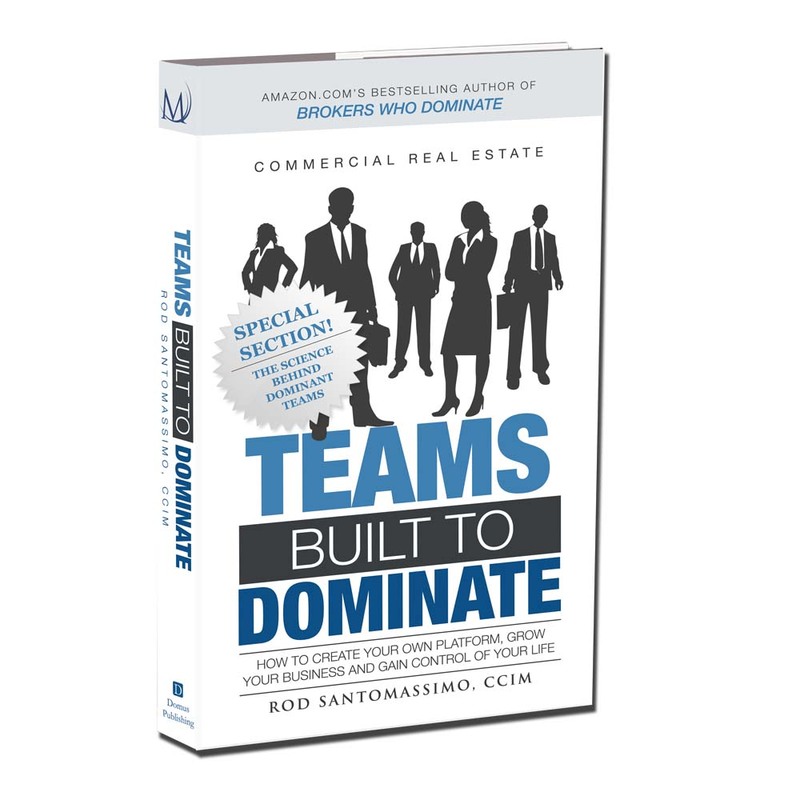 Includes downloadable tools and forms with actual examples from teams profiled to help you build your effective team. I’ve found that those who are the wealthiest in terms of financial independence and more time and more margin in their personal lives, do not live by the transaction. Here are the strategies to transform your generated commission income into real wealth.